Back in November, a Western Conference scout told CBS Sports that the Milwaukee Bucks, to him, had the makings of a team that could "win a ton of regular-season games but be a disappointment in the playoffs." The first part of that held true. Milwaukee won a league-high 60 games this season. We'll see about the second part soon enough. Entering Milwaukee's playoff opener against Detroit on Sunday, there are four main questions surrounding the Bucks in terms of their championship viablity. One, at what point, if at all, will Giannis Antetokounmpo's fledgling, if improving, outside shot become too big an obstacle to work around? Two, can the league's No. 1 regular-season defense remain elite in the playoffs while continuing to give up such a high volume of 3-pointers? Three, given the Bucks' reliance on multiple floor spacers and versatile defenders, to what degree will the Malcolm Brogdon and Nikola Mirotic injuries cripple them, particularly in the early rounds? And four, how big a deal will their collective lack of deep playoff experience be? To that last question, it didn't hurt the 2015 Warriors, and there are a ton of similarities between that Golden State team and this Milwaukee squad. But we'll get to that in a bit. For now, In fairness, it seems unnecessarily pessimistic to address the "concerns" of an obviously fantastic basketball team before touching on its many virtues -- the main one of which, of course, is the simple fact that the Bucks have one of the best players, if not the best player, on the planet in Antetokounmpo, and they have married the perfect system with a perfectly suited supporting cast to fully maximize his otherworldly attributes. For one Eastern Conference scout, that's as far as the conversation needs to go. "[The Bucks] are just so balanced, offensively and defensively," the scout told CBS Sports. "They create so many driving lanes with their spacing, and they have the best driver of the basketball in the league. It's a pretty simple formula, really. And with a player like Giannis, I don't see any reason why it would just stop working in the playoffs." To be clear: That doesn't mean this particular scout thinks Milwaukee is the clear favorite to come out of the East. It just means that if the Bucks don't come out of the East, or even if they, say, lose a second-round series to Boston, it wouldn't be about Milwaukee's so-called shortcomings as much as it would be about one of the other highly capable Eastern teams doing what they do a little bit better. Indeed, the margin between the East's top four teams is virtually indistinguishable to the naked eye. "I was literally having this conversation the other night with some other scouts, just asking each other, like, 'who do you see coming out of the East?' There were three or four different answers. I mean, nobody really knows," the scout told CBS. "I think it's all going to come down to matchups. Who's healthy? Who hits a few big shots? It could be something very small that tips a series." That's where these questions about the Bucks will eventually have to be answered -- in the heat of the moment, fourth quarters of tight playoff games, somewhere in the vast but minuscule separation between a second-round exit and a Finals, or perhaps even championship run. Again, the Bucks aren't alone here. They have no more questions, and in fact probably fewer, than the other top Eastern teams. But that's what makes the questions they do have so intriguing. A special playoff run feels right at their fingertips. I think they're going to the Finals, personally. I think they can legitimately challenge the Warriors once they get there. I also think they could lose in the second round. I am fascinated to see how this goes. Let's break it down question by question. Mike Budenholzer does some different things with Giannis, and he'll get creative in spots to switch it up -- use him as a screener, as a rim diver, put him down in the dunker spot -- but if it ain't broke, don't fix it, right? For the most part, this is what Milwaukee has done all season. They put the ball in Giannis' hands and force the defense to make a decision between two bad choices. "Nobody can guard Giannis, but when you get a playoff team for seven games in a row, they're going to have five guys basically defending him. Everyone shading, walling him off. He's going to be so frustrated. You just can't barrel through everybody every time in the playoffs." When I recently asked this same scout if he still felt the same way about Milwaukee's deficiencies as he did back in November, he said yes, adding that those concerns have been amplified by the injuries to Brogdon and Mirotic. Personally, I agree, but I have to say I have a huge bias against teams whose best player is a perimeter non-shooter. I mean, if Shaq is your best player, fine. But if your offense orbits around a perimeter, high-usage ball-handler who can't shoot, I'm skeptical. I never believed Derrick Rose's teams were a championship threat, even when he was in MVP form. I have never believed the Thunder were a true threat once Russell Westbrook became their best player (Paul George supplanting him on the hierarchy changes this conversation). At some point, you have to make jumpers. To the scout's point, barreling through walls only goes so far. There is a tendency, at least for me, to compare Giannis and Ben Simmons in this regard. I know Simmons isn't the player GIannis is. Not even close. Plus, I'm not even sure I can call Giannis a perimeter player. I don't know what he is, exactly, other than a Freak. But for argument's sake, we can all agree Simmons, from a size and athleticism standpoint, is a pretty damn freakish player in his own right, and we did see him get schemed completely off the court by Boston last year. If you caught Philly's Game 1 loss to Brooklyn on Saturday, you know Simmons was once again a roadblock in the way of any sort of consistent offense. Not being able to shoot is a serious problem. Once a defense starts scheming to exploit this hole in a player's game, it can have a field day doubling and mucking things up elsewhere. I am torn between the part of me that sides with my basketball principles and thinks the Bucks are eventually going to be exposed, and perhaps the bigger part of me that understands Giannis is a different beast and the Bucks are going to the Finals. 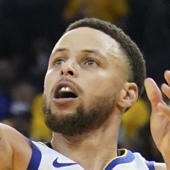 There was a time, after all, when launching 30-footers was not a way to win championships, and then Steph Curry came along. Giannis is the Steph Curry of non-shooters. He breaks basketball rules. And then makes up new ones. "Giannis is just that good," the Eastern Conference scout told CBS Sports. "Plus, with the Simmons comp, [the Bucks] have more shooting around Giannis than Philly did [around Simmons] last year. I really think, and this is just my opinion, but any concerns about Milwaukee are overblown." To this point about Philly not having the same volume of shooters to cover for Simmons, if you look back to last year's playoffs you'll see that Philly did do a lot of damage when it was able to put three or even four shooters around Simmons, but some of those guys were defensive liabilities. The Sixers couldn't necessarily keep those lineups out there as long, and Joel Embiid doesn't stretch the way Lopez does. Milwaukee has more shooters and most of those shooters are also versatile defenders who can stay on the floor. They made 13.5 3-pointers per game in the regular season, second only to Houston. But making those shots in the playoffs, in big situations, particularly in later rounds, on some level, is a different animal. And they're going to have to make a lot. On some level, the Bucks are relying on a bunch of capable but unproven deep-postseason shooters as much as they are Giannis, even if the whole thing revolves around him. We shall see how this plays out. But what about the defense? One of the reasons the Bucks are such a fascinating study is they put together one of the best offenses in the league by taking, and making, a ton of 3-pointers. And yet, defensively, they surrendered more 3-pointers than any team in the league -- 13.1 per game. So a team that believes the best way to play offense is to make a ton of threes employs a style of defense that allows opponents to ... make a ton of threes? "We're not happy to give up that many threes and we're not willing to, it's just, there's things we do really well -- protect the paint, rebound, I think our activity is a positive -- but if we could reduce the number of threes, we'd love to," Budenholzer told CBS Sports late in the regular season. "We're not in any way, shape or form happy about [giving up so many threes], but we are overall pleased with where we are defensively [going into the playoffs]. You just have kind of understand that if we're taking care of the paint, we're taking care of the boards, we're being really active, we're really competitive, then those things are outweighing the negatives of giving up threes." Last year, all four conference finals teams -- the Warriors, Rockets, Cavaliers and Celtics -- were top five in the playoffs in 3-point attempts per game. There's a strong chance the Bucks will face Boston in the second round, and the Celtics rely heavily on the 3-ball -- their 34.5 3-point attempts per game this season was seventh in the league. The main reason the Bucks give up so many threes is they prioritize protecting the paint, dropping their big men on pick-and-roll coverage and generally giving ground on the perimeter. There is context to that Raptors breakdown. Gasol was counting on Kawhi Leonard to get over the ball screen and contest that shot. Leonard didn't do it. It wasn't necessarily a mistake by Gasol. But it's an illustration of how open that shot can be at the top when the big drops down, whether planned or not. The Bucks actually plan to allow that kind of shot. Over and Over. It doesn't happen by mistake. "Center field does give up a lot of threes [in our system]," Bucks guard Malcolm Brogdon told CBS Sports late in the regular season. "It's a personnel thing partly. Coach Bud's system has been perfect for our team. But also in the NBA you can't guard everything. You have to make choices. What we've done has worked for us, but at the same time, Coach Bud is great at making adjustments. I imagine it'll be a matchup thing in the postseason, but for the most part, we contest a lot of shots, and we believe what we do works." That 3-pointer Butler initially had, that's the shot the Bucks will give you. But you have to take it, and make it. Consistently. Because when you get into the paint, Milwaukee murders possessions. Again, Boston is a likely matchup in the second round, and the Celtics take and make a lot of threes. That could be a problem if Boston gets hot. It could be an even bigger problem if Milwaukee does get to the Finals and faces Golden State or Houston, who will both wear that matchup out and launch a million threes. If it gets to the point where Budenholzer has to consider not playing Lopez as much because they're giving up too many threes with his inability to come out on the perimeter, that hurts the offense big time. Next to Giannis, Lopez's ability to shoot threes himself at a basically unprecedented level for big men might be the biggest reason the Bucks are such a potent offense. Then that gets back to: How much will Giannis suffer with one less shooter surrounding him on offense? "Again, I think the Lopez thing [on defense] is a little bit overblown," the Eastern Conference scout said. "I don't think teams are going to necessarily be able to attack him like that. [The Bucks] have a lot of counters defensively." How do the 2015 Warriors factor into this? IN the NBA, traditionally, teams have had to take baby steps in the playoffs. You lose in the first round one year. You make it to the second round the next. You bang your head against the conference finals wall a time or two. Finally you make the Finals and contend for a championship. Super-teams have changed this thinking because a team can go from garbage to great overnight by adding one or two star players. But you don't see very many teams that don't add a star player, or even an All-Star player, who go from a first-round bounce one year to a championship the next year. That's exactly what the 2015 Warriors did. That Warriors team and this Bucks team have a lot in common. They both lost in the first round the year prior. They both changed coaches in the offseason, and in doing so, ushered in a system far more conducive to the existing personnel. They both had their best player blossom into an MVP (Curry won in 2015 and Giannis, in my book, is going to win this year). They both spaced the floor and shot and made a ton of threes and clamped down with a bunch of versatile, active defenders. "There are a lot of similarities, no doubt," a league exec told CBS Sports. "But the reason Milwaukee feels like it has a chance this year isn't because of something the Warriors did four or whatever years ago. It's because LeBron's not in the East anymore. I mean let's just be honest about it. LeBron left, and now all those teams at the top feel like they have a chance." I'll be quick with this. Milwaukee is going to demolish Detroit in the first round. Mirotic should be back by the start of the second round. Brogdon could be back shortly thereafter. If Brogdon isn't back, it hurts. Brogdon is one of the better players in the league who a lot of casual fans know almost nothing about. Only time will tell on this, but I have a feeling these guys will be playing in the second round.